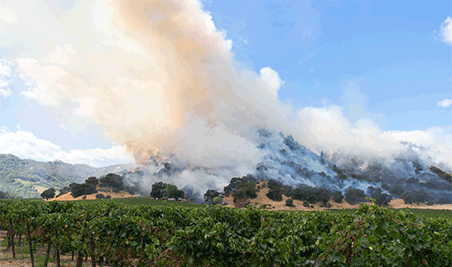 Between last summer’s heatwaves and unprecedented wildfires, farmers and ranchers are increasingly experiencing more extreme and unpredictable weather, threatening their livelihoods. 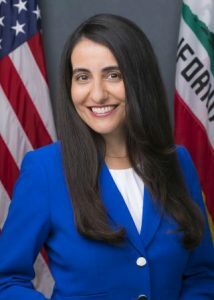 Today, Assemblymember Monique Limón (D-Santa Barbara) introduced legislation to develop the tools farmers need to adapt to this new and fast-changing reality. 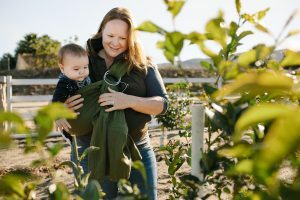 The “Ag Adaptation Tools” Bill (Assembly Bill 409) would establish a competitive grant program to develop climate adaptation tools and trainings for farmers and the technical assistance providers that serve them. CalCAN is sponsoring the bill based on lessons learned from our adaptation listening sessions last fall. The state and University of California have done significant research to better understand agriculture’s unique vulnerabilities and adaptation strategies to a changing climate, including in the state’s recently released Fourth Climate Change Assessment (2018), Climate Change Trends and Impacts on California Agriculture: A Detailed Review (Pathak, 2018), the Climate Change Consortium for Specialty Crops (CDFA, 2013), and the Agricultural Vulnerability Index (Jackson, 2012). This research makes clear that there are many tools in the toolbox — from business planning to conservation management — for farmers to adapt, stay on the land, and thrive in ways that are good for them and our communities. But not enough has been done to translate climate risks in a practical way for farmers and assist producers in becoming more resilient to climate change. Agricultural adaptation planning tools like Agroclimate and the Adaptation Workbook have been developed for other regions of the U.S., but none have been developed for California’s uniquely diverse crops, farmers, and climates. AB 409 would establish a competitive grant program to fund Resource Conservation Districts, UC Cooperative Extension, and agricultural nonprofits to develop science-based, farm-level agricultural adaptation planning tools and then pilot the tools with local farmers, ranchers, technical assistance providers, and ag organizations. The bill would also fund trainings for technical assistance providers and agricultural organizations. According to a 2017 survey of 144 University of California Agriculture and Natural Resources staff, 88% of respondents believe it is important to incorporate climate change information into farm extension programs, but only 43% actually do. Respondents cited a lack of access to climate information relevant to farmers and expressed interest in trainings on technical tools, information resources, and climate science communication. We’ll post updates on the bill’s progress on this blog, Twitter, and Facebook. For opportunities to engage your state representatives on this bill, join our network or be in touch with us directly by emailing Brian Shobe.